Well, it’s been quite awhile since I’ve taken time to sit down and write a post to our Blog. It has been a busy winter/early spring for us and although we have continued to add recipes to our Blog, I just haven’t gotten a post written for awhile! Today, however, I was inspired by a photo that our friend, Deanna sent me. 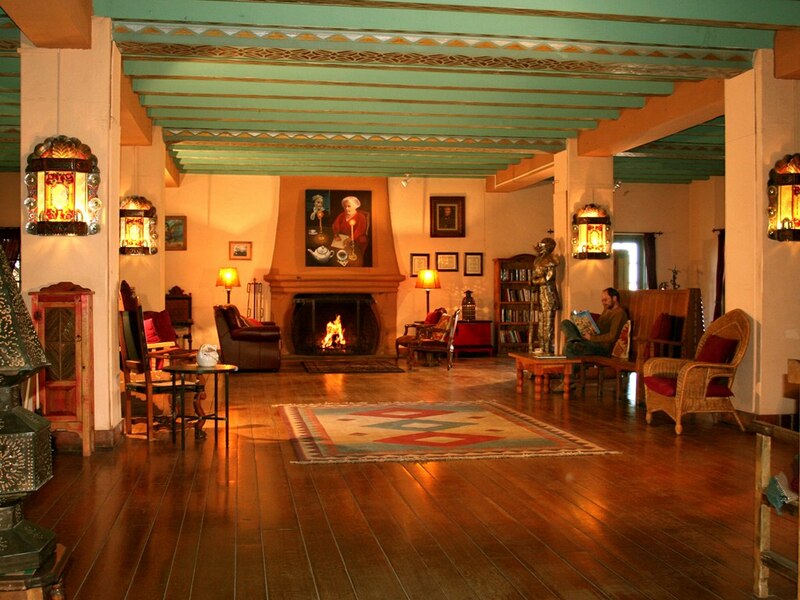 She and her husband are traveling in the southwest and stopped by one of our favorite places in the southwest…The beautifully restored LaPosada Hotel in Winslow, Arizona. Now, I know that what we usually write about is delicious food…and trust me…you will not be disappointed! 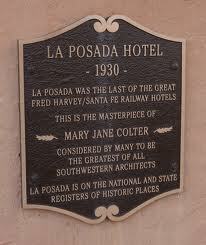 La Posada Hotel, the “last great railroad hotel,” offers a unique cultural experience for Southwest travelers. 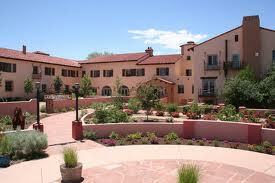 Built in 1929 for the Santa Fe Railway, La Posada is truly one of America’s treasures. In the 1920s, Harvey decided to build a major hotel in the center of northern Arizona. “La Posada”—the Resting Place—was to be the finest in the Southwest. Construction costs alone exceeded $1 million in 1929. 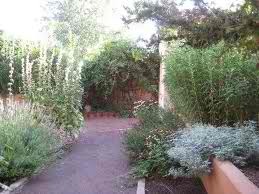 Total budget with grounds and furnishings was rumored at $2 million (about $40 million in today’s dollars). They chose Winslow, then (as now) the Arizona headquarters for the Santa Fe Railway. Winslow was ideally situated for a resort hotel since everything to see and do in northern Arizona is a comfortable day’s drive. They asked Colter to design the new hotel. Chef John Sharpe was nominated for the James Beard Award in 2011. Rated as one of the top three restaurants in the U.S. in the 2009 Conde Naste Gold List. You can see why we love to stop at this unique,historic hotel! There are discoveries to be made around every corner…huge, original artwork by current hotel co-owner, Tina Noir, are presented around every corner…the gardens are beautiful no matter what time of year you visit, and the food in the Turquoise Room, is delicious. 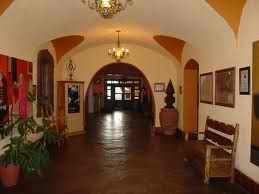 If you’re ever traveling through Arizona, be sure to make the La Posada Hotel in Winslow a destination for your trip! 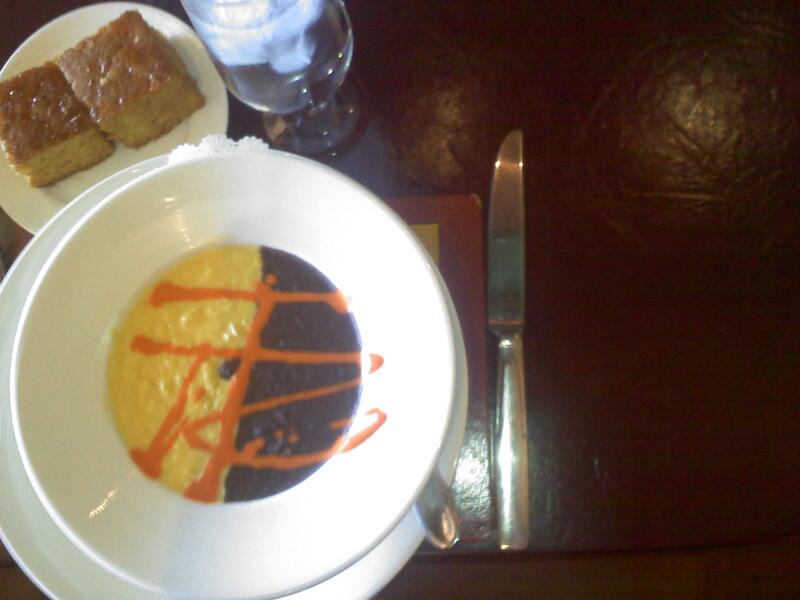 As promised, our focus comes back to delicious foods… Here is the recipe for the Turquoise Room’s Signature Soup, Black Bean & Corn Soup. Presented side by side with a gorgeous Red Pepper Ribbon garnish. Enjoy! Wash and soak the beans in cold water and leave to soak overnight. Place in a large thick bottom pot with all the ingredients. Bring to a boil and simmer for 1 1/2 hours til the beans are tender. Remove the bay leaf and discard. Place the beans in a blender until smooth. Dilute with water as needed. The soup can be made one day ahead and reheated. Find the freshest corn you can and cut it off the cob making sure you scrape the cob to extract all of the milk. This is the sweetest part of the corn. Saute the onions in a thick bottomed pan until soft but not brown. Add the rest of the ingredients and bring to a boil. Simmer for 10 minutes and remove from the heat. Place in a blender and puree till smooth. If the corn is not sweet you may add a little sugar to taste. This may be done ahead of time and kept warm in a double boiler. 1/3 cup roasted red peppers, peeled and seeded. It is important for both soups to be the same consistency so that when they are placed in the bowl they stay separate. You may adjust them with hot water at the time of service. Due to the starches in both soups they will thicken as they sit. Have the soups hot and side by side. Garnish with Red Pepper Stripe. Delicious served with Cornbread and a Salad. about your favorite places to stay or where you like to go for a great meal!